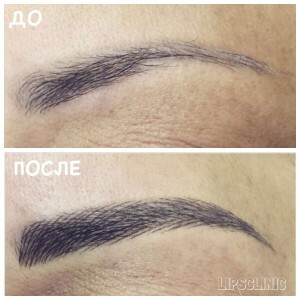 Want to have gorgeous falconine eyebrows? 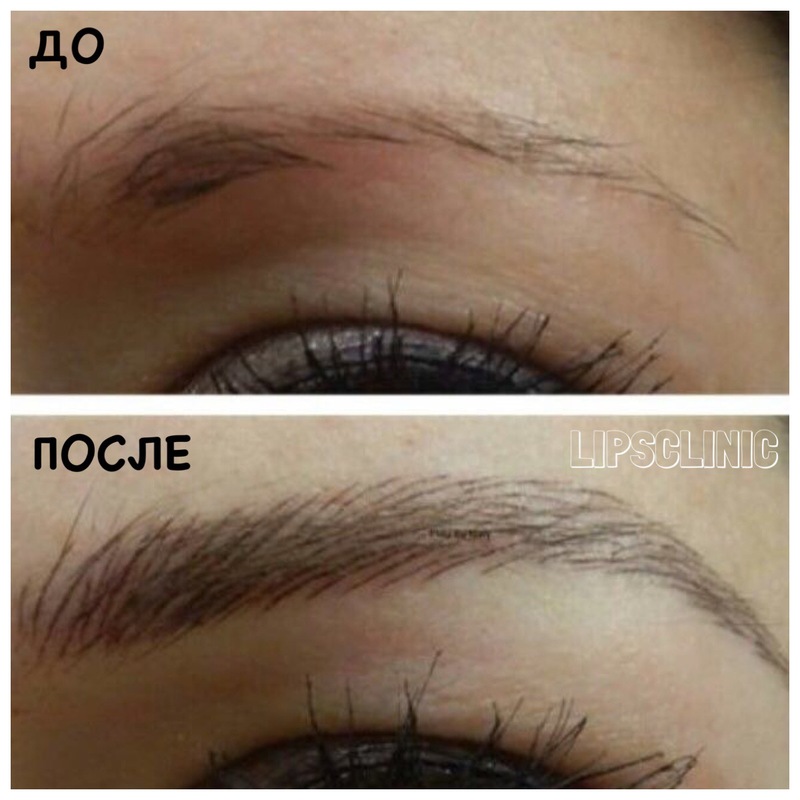 Eyebrow microblading will help you! Doing eyebrow makeup every morning? Eyebrows refuse to grow despite various oils and masks? Tired of a poor excuse of eyebrows? Tried everything – from dyeing to permanent eyebrow make up, but dissatisfied with the result? Attention! Especially for those who, despite all the suffering, has not lost hope to obtain beautiful thick eyebrows, we propose the modern method of eyebrow microblading. Microblading is biotattooing of eyebrows. Unlike traditional tattooing, in microblading a master manually applies the pigment in skin using a special tool. During the procedure, master draws finest hairs in the eyebrow area and, if necessary, adds shadows to give them density. With this method of pigment application, new eyebrows look natural. Drawn hairs are quite difficult to discern, so after the microblading procedure no one would guess these eyebrows are not your own. Forget your worries for 1-1.5 years. 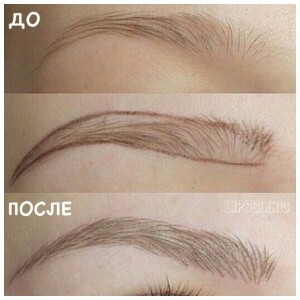 Imagine that you do not have to wake up earlier in the morning to draw your eyebrows. 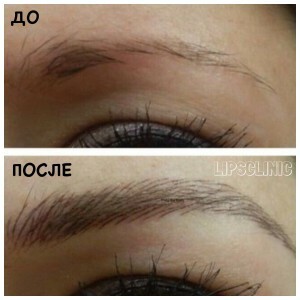 Not to worry that your eyebrows will “disappear” when you visit the pool or swim in the sea. Look gorgeous due to clearly defined eyebrows, which emphasize the beauty of your face. Hide scars and cicatrices located in the eyebrow area, and if necessary, adjust the shape of eyebrows and remove asymmetry. Why eyebrow microblading is better than standard permanent make up? Microblading is a sparing procedure. Pain is minimized, so this procedure is recommended for women with sensitive skin. In microblading, master draws the eyebrows manually, so he controls hair length, direction, and brow width. In this procedure, pigment does not penetrate deep into the skin. 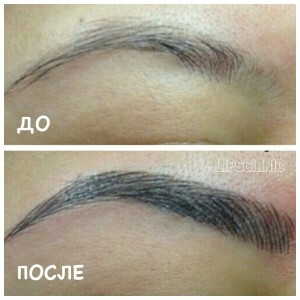 This means that in 1-1.5 years the eyebrows simply fade without changing their color, as it is in tattooing. For microblading, rehabilitation period takes less time, since there is practically no swelling or turgidity. But what is most important, microblading allows creating natural eyebrows, whereas traditional tattooing is always visible and immediately catches the eye. What does the procedure effectiveness depends on? In order for you to be happy with the microblading result, you should take a responsible approach to selecting the master: view the works, ask for patients’ feedback, learn more about the selected clinic. We have experienced masters who openly show their works, offer free advice on microblading, and make a certificate confirming their professionalism available upon request. Keep in mind that the results of microblading, just like those of standard tattooing, cannot be erased at your request. If master makes a mistake and draws eyebrows wrong, you will have to live with this “beauty” for about 1-1.5 years. Book eyebrow microblading in Moscow right now by calling 8 800 700-72-87 (free call in Russia) or leave a request on the website. If you’re in doubt, get a free consultation, view the works, and discuss the merits of microblading with the master.